382. 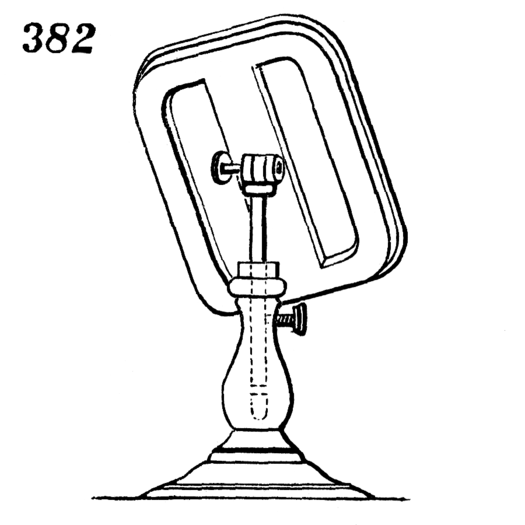 Adjustable stand for mirrors, etc., by which a glass or other article can be raised or lowered, turned to the right or left, and varied in its inclination. The stem is fitted into a socket of pillar, and secured by a set screw, and the glass is hinged to the stem, and a set screw is applied to the hinge to tighten it. The same thing is used for photographic camera-stands.